I think I have an answer to your question. 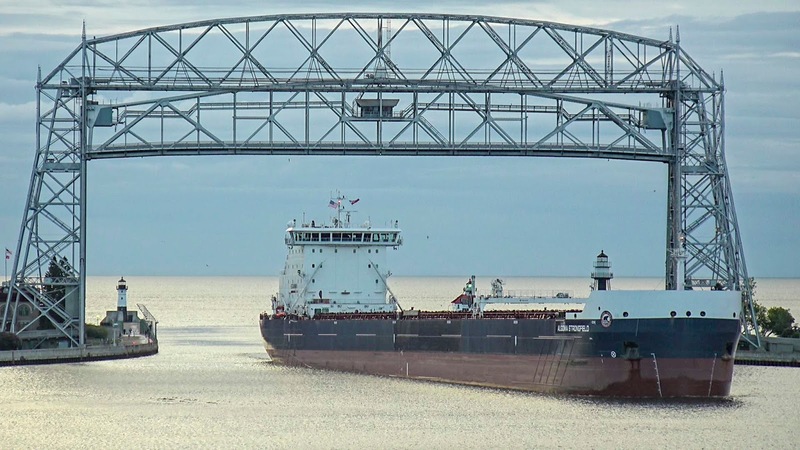 "Algoma Central Corporation provides dry bulk shipping services to shippers who do not require self-unloading technology." She hauls mostly grain and the elevators have their own unloading equipment. She came in for iron ore pellets and the 2 ports she takes that cargo to are ArcelorMittal in Hamilton, Ontario and Quebec City for overseas transshipment. Both of those facilities have bridge crane unloaders with clam shell buckets. I thought the same thing, for a bulk carrier, built this year one would have thought it would have a self-unloader on it.